Perfect for Paper Lanterns. 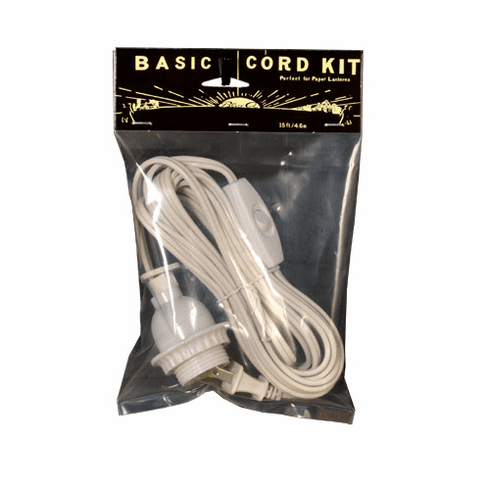 15 ft/4.6m cord featuring an in-line switch and includes 2 hooks for hanging. US style 120 volt plug and socket is UL listed. Select Detail tab to see plug and socket style.